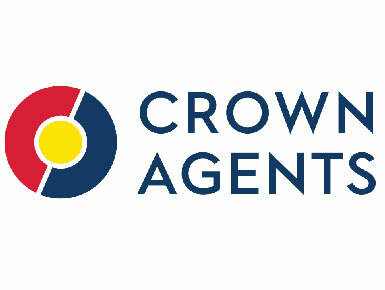 Crown Agents is a high impact not-for-profit social enterprise. We improve public services and drive economic growth in countries around the world. Our expertise is finding new solutions to intractable problems for clients in the areas of health, governance, economic growth, humanitarian action, stabilisation and supply chain services. We work with leaders at local, national and international level to achieve change, drawing on our insight and experience. We reinvest our profits into further transformation. Our humanitarian and stabilisation team have a track record of delivering benefits for governments and their people in some of the most challenging operating environments in the world. We provide a holistic package of support to governments managing protracted crises including rapid response, public financial management, basic service delivery, end-to-end supply chain solutions and training. We can work with existing structures and institutions to ensure that funding for the region is managed effectively, delivers value and is accounted for in a transparent manner - no matter whether the source of funding is from Government revenues, development bank lending or other donors’ grants. Crown Agents has been working with partners in Nigeria for more than a century. We are looking to establish a new portfolio of humanitarian and stabilisation programmes in the north-east of the country. This would be part of the overall international effort to respond to the crisis through peace building and reconstruction. The Government of Nigeria and international community are responding simultaneously to the urgent humanitarian needs alongside the longer-term reconstruction efforts. The World Bank approved a $200m Multi-Sectoral Crisis Recovery Project (MCRP) in March 2017. Part of this funding will be used to contract a Programme Management Consultancy (PMC) team to build capacity and oversee the effective delivery of the reconstruction. This team leader position would be responsible for the effective management of the PMC team and its objectives, and will report to a Project Director in Crown Agents HQ (based in London) as well as having a close relationship with Crown Agents’ Country Director in Abuja. The role is subject to a successful bid by the consortium. o Membership of the project Steering Committee. o Oversight of external communication, including a strong social media presence. o Promote networking and knowledge sharing amongst key stakeholders and programme work streams. o Support any further bids by the consortium through technical advice and communications. o A track-record of improving the skills and abilities of others. o A relevant postgraduate qualification to the programme. Given that programme activities are focused on support to the administrations of the three north-eastern Nigerian states, then it is anticipated that the PMC will need to have a physical presence in the north-east (most likely Maiduguri). This will be subject to security conditions. The successful teamleader must either be willing to locate themselves in the north-east or to spend the majority of their time in the north-eastern states. Travel to all three states is a core expectation of the job. Preference may be given to candidates willing to be based in Maiduguri (with travel to Abuja and other parts of NE Nigeria when security permits). Candidates based elsewhere in Nigeria must be willing to spend the majority of their time in the BAY states when security permits. This is an essential minimum standard. Please state in your application form your willingness to be based Maiduguri and travel to other parts of the BAY states.